Shares in Canadian based cannabis producer Aphria Inc. fell to their lowest level in a year on Monday after a short seller published a report alleging the company has wasted hundreds of millions on foreign acquisitions that are essentially worthless. At a short-selling conference in New York, Gabriel Grego of Quintessential Capital Management outlined his report on the Leamington, Ont.-based company, calling the company a "black hole for shareholders' money." Aphria's stock plunged both on the Toronto and New York stock exchanges when markets opened on Monday, at one point falling to a new 52-week low of $7.38 per share in Toronto, down 29.8 per cent from Friday's close of $10.51. The shares closed down 27.7 per cent at $7.60 a share on the TSX. It should be noted that Grego has a financial incentive to talk down the price of the company. His firm is what's known as a short seller — investors who make money when stock prices in the companies they target go down. They do so by borrowing other investors' shares and selling them at current prices, pocketing the profit and replacing the shares they've borrowed by buying them from someone else for a lower price later on. Recent prominent targets of short sellers include drug company Valeant, and mortgage company Home Capital. While Grego lays out a number of reasons for why he thinks Aphria is overvalued, his core argument is that he says the company spent $700 million buying up subsidiaries in the Caribbean and South America that don't add any value to the company and did little besides enriching insiders at the companies taken over. "In most instances, the entities acquired by Aphria exhibit little or no sales and operating activity, minimal assets and questionable corporate governance," he said. Aphria called Grego's allegations false and defamatory. "The company is preparing a comprehensive response to provide shareholders with the facts and is also pursuing all available legal options against Quintessential Capital," it said in a statement Monday morning. Grego has become an influential short seller. His last major target, this summer, was a company called Folli Follie, a Greek jewelry chain that he argued had vastly overstated how much money it was making in China. The company lost three-quarters of its value after regulators looked into the business and subsequently halted the stock. It hasn't traded since. Analyst Stuart Rolfe of Veritas Investment Research Corp. said he has no thoughts on the veracity of the short seller's claims, but he said the story illustrates the down side that investors in the cannabis space can and will see in the notoriously volatile sector. Huge, double-digit swings have become the norm for some of the big cannabis names, but they happen on the down side, too, often without any concrete reason. "I don't think any of these companies [are] immune to this sort of finding," Rolfe said in an interview Monday. He noted that barely two months ago Aphria saw its stock buoyed by a rumour that cigarette company Altria Inc. was considering buying a chunk of the company. That deal never came to pass, and the stock is now worth about a third of what it was at the start of October. Now Altria is reportedly interested in buying cannabis company Cronos Inc., a Reuters report said Monday, which sent Cronos shares up 10 per cent — "even though we don't know much about any of these companies," as Rolfe put it. 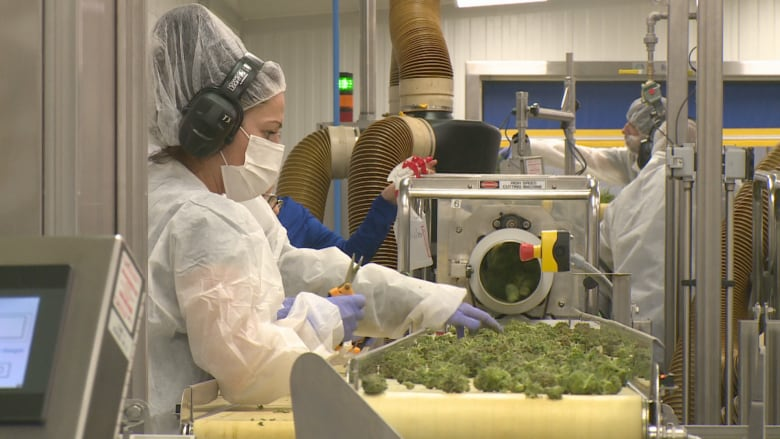 "Today is a very good day for investors in the space to ask themselves how sure they are that their investment in cannabis is the right one," he said. While he stressed he has no thoughts on the short seller's report on Aphria itself, he thinks the entire sector remains vulnerable to similar accusations. "If you're investing in cannabis right now, how sure are you that you're investing in the right company?"